Millions of Egyptians have demonstrated in Cairo's Tahrir Square to claim freedom after 30 years of oppression and autocracy, while Western commentators marvel about the timing and causes of what will soon be known as the Egyptian Revolution of 2011. With remarkable foresight, Zed authors Rabab El-Mahdi and Philip Marfleet compiled a book in late 2009 explaining not only what political, economic, and societal factors led to the current uprising, but also why it is no coincidence that it happens now. 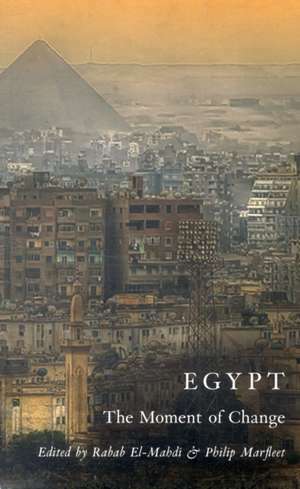 Prophetically entitled "Egypt: The Moment of Change," it meticulously describes the growing internal pressures the Mubarak regime faced over the last years, including chapters on the omnipresent torture, the role of Islamism in the society, and the budding social movements for democratic change in Egypt.